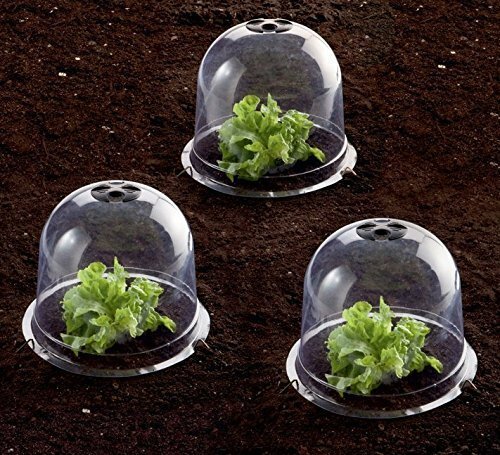 Bell stylel including Dia8"xH6.5", Dia10"xH7.5", Dia13"xH11.8"
Assembled Shape, 45''Lx16"Wx8"H for single cloche, you can assemble serveral pcs to have a longer and giant greenhouse. Designed with concave-convex on both ends. Double layers plant bell, to increase more higher temps in some special states, this new design created by us, storing temp between the two layers will keep longer time.